No fewer than 14 governorship candidates, in Plateau State, have signed a peace commitment with a vowed to collectively work toward a fair, credible and violence-free general elections in the state. Archbishop of Jos, Ignatius Kaigama and Convener of the peace commitment which took place, on Thursday, at the Dialogue, Reconciliation and Peace Centre, Jos, said there would be no election if violence overwhelmed the state. Those who signed the Peace Commitment included the incumbent Governor Simon Lalong, candidates of the APC, General Jeremiah Useni (rtd) of the PDP, Gen. Jon Temlong, candidate of ADP, represented by his running mate Dr. Daniel. Mutmwat. Others were Barr. Timothy Parlong, candidate of APGA, Dr. Godfrey Miri, candidate of SDP, Jeo Bitrus Musa, candidtate of ADC among others. They all vowed to protect and uphold peace and security of the state before, during and after the elections. Rev. Kaigama said signing of the peace commitment was crucial to avoid anything that could return the state to it dark days during the polls. “Considering thr nexus that exists between elections and violent conflicts in Nigeria as past experiences have shown, there is the need therefore for us to come together to proactively discuss how to work in a concerted way to prevent all forms of election related violence in Plateau state as campaigns for the forth coming elections intensify. 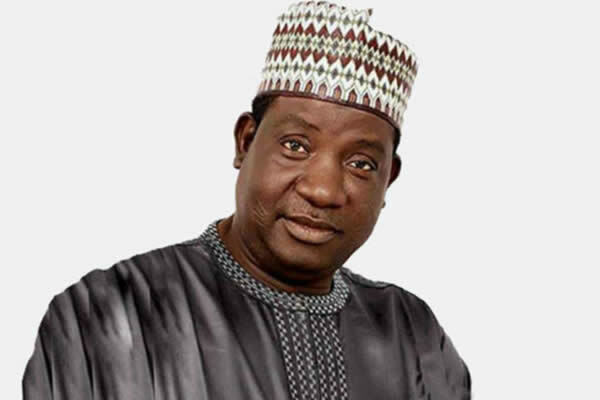 Governor Lalong, in his speech, urged Plateau people to shun any act capable of showcasing the state in bad light during the polls and urged the people to be their brothers’ keepers for the enthronement of enduring peace in the state. He begged all the candidates and political parties to avoid fake news and hate speeches during their campaigns, saying nobody should insults anyone or say anything that he has no facts against his opponent. The Gbong Gwom Jos and Chairman of Plateau Traditional Rulers, Da. Jacob Gyang Buba, represented the traditional institution, Rev. Soja Bewerang, CAN chairman, represented the Christians while the state’s Deputy Chairman of the JNI, Alh. Garba Abdulkadir, represented the Muslim community. State Resident Electoral Commissioner, Hussaini Pai, Gbong Gwom Jos, Da. Jacob Gyang Buba, Archbishop of Jos, Ignatius Kaigama, Commander OperationSAFE HAVEN, Maj.-Gen. Agustine Agundu, Director of the DSS, Representative of state’s Police Commissioner, Austin Agbonlahor, all served as witnesses during the peace commitment.